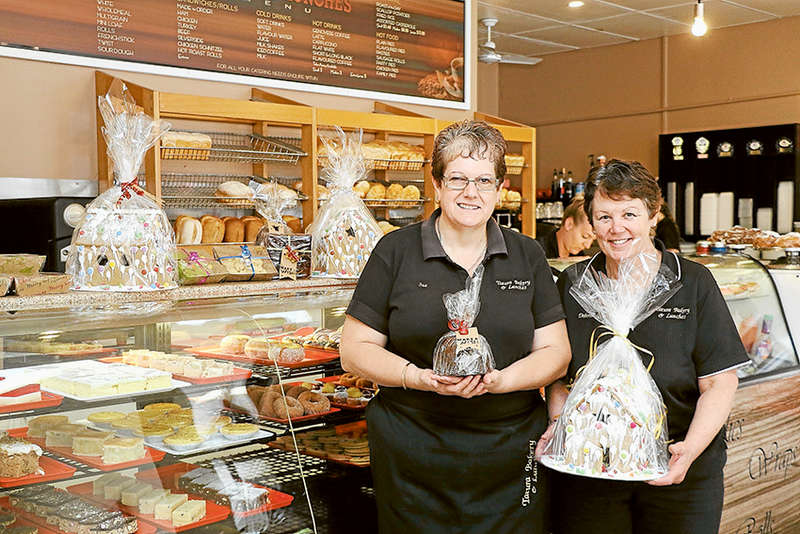 GINGERBREAD BAKED FRESH… From left, Tatura Bakery and Lunches manager, Sue Bevilacqua and owner, Deborah Russell showcasing their exquisite selection of festive treats. Photo: Katelyn Morse. NOTHING compares to the taste of fresh bakery food and at Tatura Bakery and Lunches, the friendly staff have got your culinary Christmas requirements completely covered. Santa himself would be supremely satisfied with the delectable Christmas food on offer, including gingerbread houses, Christmas puddings, traditional fruit mince pies, shortbread and more. All these delicious treats can be specially made to order, but get in quick to ensure your Christmas goodies can be prepared in time. 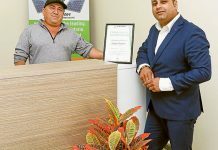 Tatura Bakery and Lunches also offer catering and all hot and cold food served in the store is available to be prepared for your Christmas feast, family gathering or end-of-year work function. Orders for catering will cease in the week leading up to Christmas so please plan ahead to guarantee your request. Tatura Bakery and Lunches is closed on Christmas Day and will reopen on Wednesday, January 2. Visit the bakery at 149 Hogan Street, Tatura or give the team a call on 5824 1444.